Daddy Yankee performs "Yo Contra Ti" with the Puerto Rico Symphony Orchestra at 2018 Latin American Music Awards at the Dolby Theatre in Hollywood, Californian on Oct. 25, 2018 . 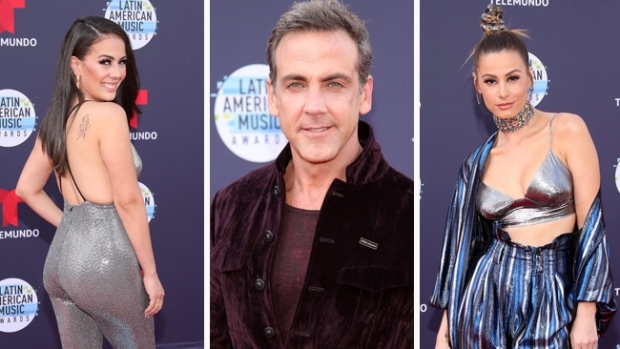 Daddy Yankee used his fame for a good cause at the 2018 Billboard Latin American Music Awards. At Thursday night's show, the artist received the Icon Award for his "passion, power and heart" over the years. In his speech, the artist told the crowd of the Dolby Theater how grateful he is for God and his loyal fans, as well as his pride in being a Puerto Rican. Later in the night, Daddy Yankee once again took to the stage to shine a light on breast cancer survivors. For his performance with the Puerto Rico Symphony Orchestra, they delivered a bold rendition of "Yo Contra Ti" in honor of the many women who are fighting or beat breast cancer. As he performed the emotional song, dancers dressed in hospital gowns dramatically moved across the stage. The musician also won this year's award for Favorite Male Artist. In an interview with Entertainment Tonight, the artist said, "It's a powerful song, and the most important thing is that it's a message that can inspire them and motivate them to go through their tests in life and trying to face cancer in a different way." Along the way, he learned important life lessons from the women who opened up to him about their tough experiences. He said he has come to truly appreciate the people in his life and the importance of "trying to take every second and make every second count in life."